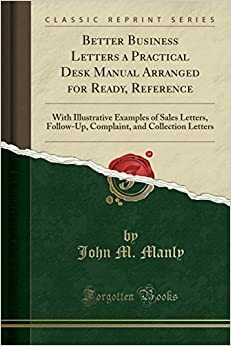 If one were to attempt to put into practice all the rules and suggestions that have been printed on the subject of business letters, the letters produced would, it must be admitted, be stiff and ponderous. They would resemble the weighty essay of half a century ago, rather than a present-day sales talk. Certainly this would be true if it were regarded as necessary to embody in each letter all the rules laid down regarding opening, description argument, proof.